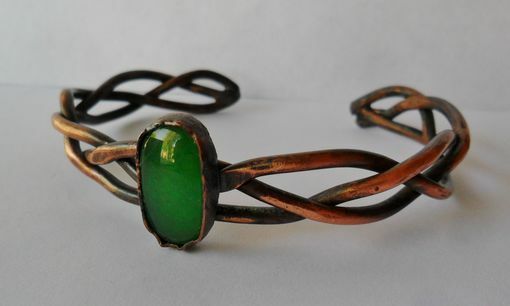 Oval green agate stone set on a braided copper wire cuff bracelet. The metal is darkened with a patina and then polished to a matte finish. You choose your stone to make it uniquely yours!